Divorce occurs when a marriage does not succeed. The end of a marriage can feel like a relief. It can also be extremely stressful. Even the partner who chooses to leave may feel a range of emotions. They may experience grief, guilt, anger, confusion, fear, shame, and anxiety. If children are involved, the stress of divorce may be more intense. Lack of commitment. This includes marrying too young or marrying the wrong person. Contempt and lack of respect. Gottman argues this is the single best predictor of divorce. He believes it can be seen even early on in a relationship. Defensiveness. People who cannot take responsibility for a problem cannot fix it. They may not be able to display empathy for their spouse. Stonewalling. This is the avoidance of interaction and discussion of problems. Stonewalling can make it impossible to resolve an argument. If the one or more of the four horsemen is present in your relationship, it is not too late. Recognizing that a problem exists can be a first step toward solving it. But if a couple ignores these signs, they may be moving closer to a divorce. Divorce is life-changing in many ways. It is helpful to monitor your reactions to the changes of divorce. This self-awareness can help you cope with the many adjustments that follow. Finances. Financial changes occur when one household becomes two. Some people are used to being supported financially by their partner. Divorce may change this. The sudden budget changes that come with divorce may cause worry, stress, or anxiety. Lifestyle. Single and married life are different. Newly divorced people may feel lonely or go through shock after separating. These feelings can occur even if the person wanted a divorce. Self-care and self-compassion are key in this time of change. Relationships. Bonds with children and friendships may be altered by divorce. Relationships with mutual friends may be different. Your children may no longer live with you all the time. This change may cause feelings of loss or grief. Keeping a strong support network during this time can help. Divorce recovery is a process. Adjusting to changes that occur as a result of a divorce can take time. Part of the process is recognizing that changes will be certain. Newly divorced people will come to realized their lives will be affected. The lives of those around them may also change in profound ways. Guilt and emotional overwhelm. Thoughts about how divorce could affect any children may cause these feelings. Grief over losing a familiar lifestyle or life partner. This may hit hard if one partner did not want to be divorced. Stress from going through the legal process or divorce, especially if children are involved. Stress can also occur as family members adapt to new routines and develop new support networks. These issues can often be worked through during the recovery process. Therapy is one way to begin recovering from a divorce. Divorce may be complicated if you have children. 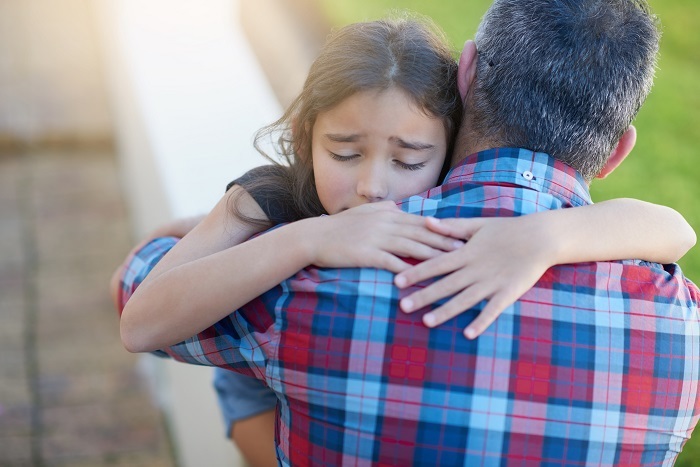 Children are often impacted by a parent’s divorce. These effects may cause mental health issues. Divorce may increase chances of anxiety, depression, self-harm, and suicide in children and teens. You can help avoid these issues by watching your child’s reactions. If your child is having trouble with your divorce, a child or family therapist could help. They can provide a safe setting for your child to share their thoughts, feelings, and worries. Gottman, J. M. & Silver, N. (1999). The seven principles for making marriage work. New York, NY: Crown. Can Mental Health Issues Be Used Against You In a Child Custody Dispute? What Should We Tell the Kids About Why We Are Divorcing?